Fossil Q Control: who needs to check their watch in the evening? Due to the lack of new smartwatches from smartphone manufacturers, you might turn to the new watches from Fossil. One of them is the Q Control. We tested it for a few weeks since we needed to find out for ourselves: the watch was lacking in a few essential areas. How much does the Q Control cost? Who checks their watch in the evening? 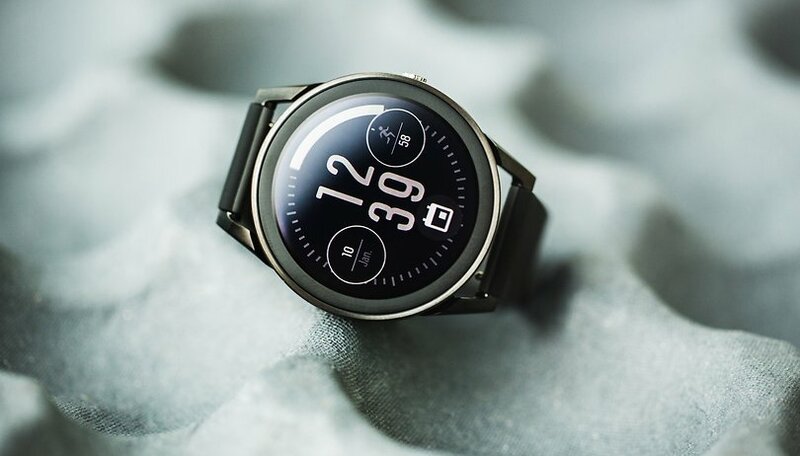 The Fossil Q Control is offered for 299 euros (currently around 345 dollars) and is available in the manufacturer’s online shop in gray and black. The Fossil Q Control is well made and I especially liked the subtle appearance of the black version. A circular display, one button on the right side and two straps - nothing more. There are no gimmicks in the rotating frame and there aren’t too many buttons, but there are sensors on the outer edge of the display to navigate through the menus that offer little or no added value. I particularly like the stainless steel casing, which comes with a thickness of 14 millimeters for the 45mm smartwatch. It’s tested for water resistance up to 5 bar, so you can take the watch in the shower with you. Even in bright sunlight, the Q Control’s display is bright enough to be easily read. It does, however, tend to be a bit too reflective. It can compete with an Apple Watch or Galaxy Watch in terms of its black levels and its color representation. Even though the Fossil Q Control works as a fitness smartwatch, it offers few features for sport enthusiasts apart from the heart-rate monitor. The GPS is only used to track the location, which uses the GPS data from your smartphone. So you’ll need to take your phone with you to get concrete data on your run. If you buy the watch, you'll also have to go without an NFC. Unfortunately, for some reason, the smartwatch makes a complete mess of Google Fit. While the smartphone can usually tell the difference between when I walked and when I took the train on my way to work, in my test the watch would count the train ride as part of my training regiment. It’s really difficult to fix this problem. Wear OS is the software used on the Fossil Q Control . This means that all notifications from the smartphone also land directly on the watch. You can answer messages directly on the watch. There are numerous faces available and the link to pure Android on the Pixel 2 XL runs smoothly. The Google Assistant is also available, which accepts commands via the integrated microphone. With the Snapdragon Wear 2100, 512 MB of RAM and 4 GB of internal memory, the technology was already outdated at the time of the device's release. So don’t expect any miracles from this smartwatch. The watch isn’t necessarily slow, but at some moments it takes too long to complete tasks for my taste. When you open Google Assistant for the first time on a given day, it can take as long five seconds. If you archive an email or reply to a message on the watch, it usually takes two seconds, but this is partly due to the unnecessarily long animations on Wear OS. As much as I liked the Fossil Q Control, the fun ends with the short battery life . Even with normal use, it’s impossible to survive even one day with the smartwatch. If you disconnect the device from its power supply at 7 in the morning, the watch will already report in the late afternoon or evening that it urgently needs to be charged again. In my opinion, every smartwatch should offer at least 24 hours of battery life. The devices also comes with a terrible charging “station”, a small plastic fin where you can align the connectors on the back of the watch. This has cost me more time every evening than just connecting a USB-A plug to my PC. Fossil markets this as wireless charging, but you shouldn’t expect QI here. If you’re looking for a smartwatch, you should avoid the Fossil Q Control. Not only is it missing features that the competition offer for the same price, the battery life is a huge problem. In my opinion, if you have to switch off certain functions just to get through the day, it’s not a great purchase.